Network science, complex systems, social network, network communities. 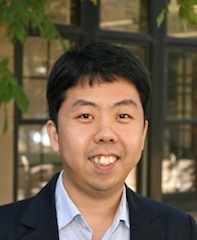 Yong-Yeol "YY" Ahn is an assistant professor at the Indiana University School of Informatics, Computing and Engineering and a co-founder of Janys Analytics. He develops and leverages mathematical and computational methods to study complex systems such as cells, the brain, society and culture. His recent contribution includes a new framework to identify pervasively overlapping modules in networks, network-based algorithms to predict viral memes and a new computational approach to study food culture. He is a recipient of several awards including Microsoft Research Faculty Fellowship.